Music director D.Imman is easily one among the top 5 music directors in Kollywood today. But he has not reached the top spot very easily. Basically there have been two kinds of music directors in Tamil films. Some will turn heads towards them with their debut, go on making wonders in the next few films and reach the top spot within three or four films in their career. Another category will be destined to struggle a lot to prove their worth. Many of their tremendous efforts would even go unnoticed in the process of climbing up the ladder. The followers of Tamil Cinema will easily know under which category Imman will fall. Officially the composer's debut film is Vijay starrer Tamizhan that released in 2002. Prior to Tamilan Imman had worked for the film Kadhale Swasam which never released. Such unfortunate is the start of his success story. 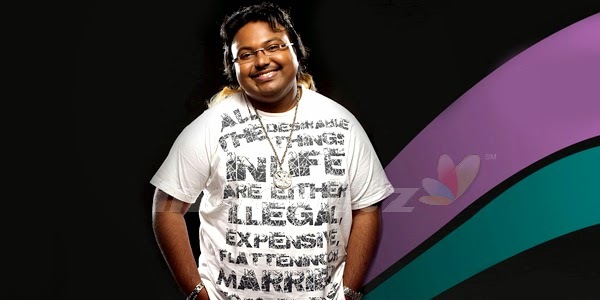 However Imman's first album Tamizhan was a chartbuster. In a span of 12 years Imman has worked in many films and a decent number of them are hit films. His songs for the films Whistle, Giri, Thalai nagaram, Marudhamalai, Kacheri Arrambam made to the ipod track list of many young listeners but the turning point in his career came with the film Mynaa. If the path breaking love story by Prabhu Solomon was a super hit so is the album composed by Imman. After Mynaa notable offers started flooding in and his work for films like Manam Kothi Paravai and Sattai were appreciated by many. Again a Prabhu Solomon film in Kumki pushed Imman's career to new levels. The film made it to the top of the year 2012 in collections apart from garnering enormous critical acclaim and the songs made wonders in the audio market. Even after this Imman remains affordable to small budget film producers. If this is a quality that is a rare to be found in a composer at the peak of his career it should be seen as the outcome of his clear understanding of what elevated him to this position today. Post Kumki, Imman got to work with Suseenthiran directed Vishal flick Pandiyanadu and the composer ensured a musical hit with that action packed flick. This made him join with a star as big as Vijay, after a gap of 11 years in Jilla and the songs for the Nessan directed flick are still topping the charts. 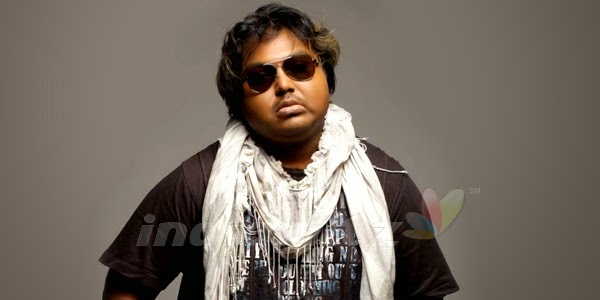 Imman is also a good play back singer. 'Kirukka Kirukka' in Whistle, 'Adra Sakka' in Giri, 'Katcheri Katcheri' in Karcheri Arrambam made people speak about his ability to sing peppy numbers; with 'Onnum Puriyala' in Kumki he surprised the listeners with his deftness in singing soulful numbers. If this is something done by his formers and peers, here comes a unique talent of Imman. He has unearthed the crooning talent of many actors and actresses. All of his songs sung by leading heroes and heroines have been likened by music listeners cutting across sections. This not only warrants the singing talent of the particular actor/actress but also the composer's ability to choose the right song suiting the voice of the actor/actress. Imman, tried this in Tamizhan itself. There is no surprise in making its lead hero Vijay who was already a well known singer to sing the 'Ullathai Killadhey' number. But having PriyankaChopra a girl entirely new to the Tamil language sing a song is the testimony for the composer's self confidence and earnestness to be unique. For a debut composer, getting the consent from the makers for such a risky idea itself should have been a herculean task. And at the end everyone was happy with the outcome and success of the song. Imman also identified the singer in Siva Karthikeyan and made him sing the super hit Oodha coloru Ribbon in Varuthapadadha Vaalibar Sangam. The success of the song is evident in the anchor turned actor singing a song composed by Anirudh in his upcoming film Maan Karate as well. Ramya Nambeesan may be a renowned play back singer in Malayalam but in Tamil she was known only as a actress before Imman made her croon the peppy 'Fy fy' song in Pandianadu. Imman just retained the idea he tried with Vijay in Tamizhan when he paired up with the star in Jilla. This time he made Vijay to sing 'Kandaangi Kandaangi' a beautiful melody with melody queen Shreya Ghoshal. Going forward, we can expect many more spectacular songs and many actors turning as singers with the magic wand of D.Imman who is one of the busiest composers with 9 films in hand, .